Both UKIP and the Green Party are consistently polling at record highs. 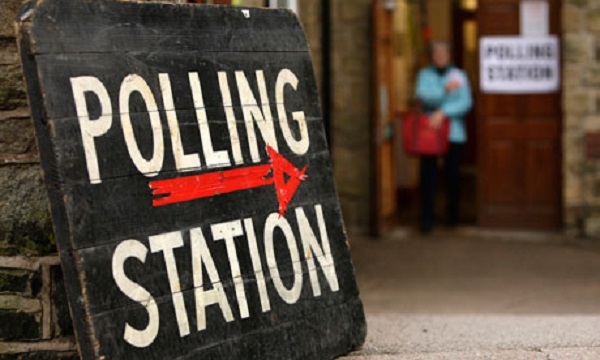 Hynd’s Blog takes a look at how this might impact the outcome of the 2015 General Election. There is a broad feeling within the Westminster bubble that Labour will win the most seats at the next election. Opinion polls, with the exception of the aftermath of Miliband’s farcical conference speech when he forgot to mention the deficit (opps), show that Labour have consistently polled a few points ahead of the Tories. Significantly though few expect them to secure enough seats to form a majority government. This means that a coalition is more than possible. The latest uniform swing predictions put Labour short of an absolute majority by just one seat. If this prediction comes true then Labour could comfortably (mathematically speaking) enter into coalition with one or a range of parties and rule with a majority government. However, there is also a scenario where the Lib Dems (currently estimated to pick up 23 seats) fail to have enough support to help Labour secure a coalition with an overall majority. With this in mind, the relative rise of both UKIP and the Greens and the demise of the Lib Dems takes on a whole new level of interest. No longer is it a given that the Lib Dems will secure enough seats to be able to go into coalition with Labour (or Conservatives) and form a majority government. It is also worth looking at how in key marginal battle grounds the new found support for both UKIP and Greens might cause a split in the vote a cause an upset. Those, including myself, who used to talk about the UKIP support just being an electoral blip, have surely enough evidence in front of them now to admit that they were wrong. Equally after a strong showing at May’s European elections and continued growth in support in opinion polls the Greens are increasingly securing their places as a major player in British politics – despite many commentators patronizing dismissal. To illustrate the current consistent support both the Green Party and UKIP are enjoying I have looked back over the last 10 YouGov voting intention polls. This show that both UKIP and the Green Party are relatively consistent in their new highs within the polls (16-18 % and 5-7% respectively). The next obvious question then is to ask where this new found support for these two relative outsiders is coming from. UKIP, although picking up working class Labour voters, are overwhelmingly picking up former Tory voters. The Greens on the other-hand are picking up a lot of former Lib Dem voters. Greens returning Caroline Lucas as MP in Brighton Pavillion (Labour’s number one target seat in the South East). A possible second MP in former Lib Dem strong holds (they are targeting Norwich South and Bristol West). A significant impact on Tory/Labour marginals (likely to dent the Labour vote). An increased threat of sitting Lib Dem MPs losing their seats – this is especially true in Lib Dem/Labour marginals. Greens increasing their vote share across the country looking to secure deposits (by securing 5% or more of vote) and possibly beating the Lib Dems. The standing UKIP MPs (who knows how many other current Conservative MPs will follow Douglas Carswell’s example and defect) returned with little challenge. UKIP gaining a significant number of seats (exact numbers are hard to predict but probably the gains will be counted on one hand). A significant impact on Tory/Labour or Lib Dem marginal (likely to dent the Tory vote more than the Lib Dem/Labour vote). An increase in vote share leaving them with at least double that of the Lib Dems. In addition there is also a small chance, that UKIP (and even less likely Greens and nationalists) will secure enough MPs to become the minority partner in a coalition themselves – unlikely though. With all this said and done we are left with more questions than answers: Is this the end of two party politics in the UK? Is our electoral system up to the job with the potential demise of two party politics? Will the Lib Dems enter back into coalition? Would Greens look to join a progressive alliance to form a government? Will Nigel Farage become the next DPM? So much of this that seemed like an impossibility 4 years ago suddenly seems dramatically possible! When all the talk is of voter apathy it strikes me that there never has been a more exciting time to be involved in politics as the status quo is ripped wide open. The Lord Ashcroft polling for Stroud gives us a unique insight into the constituency’s voting intentions ahead of the general election next year. As it is the constituency where I will cast my vote it is only natural that I have given it a little more scrutiny than other seats. Firstly, in line with national predictions, and let’s be honest, common sense, the poll confirms that in all likelihood Stroud will, once again, return Labour’s David Drew. Labour jump 3% from 2010, Conservatives drop 11%, the Lib Dems drop 9%, Greens gain 8% and UKIP gain 9%. As I will discuss later – the collapse of the Lib Dems may be key to the 2015 election result. In line with the national picture we can see the coalition partners bleeding support with the junior partner faring the worst. It is interesting then to see where these votes are going. According to the polling, 71% of 2010 Conservative voters are sticking with their party. Although lower than the national average this is still reasonable suggesting their key task is ensuring their voters turn up on election day. However 11% and 13% respectively of the 2010 Conservative vote stated they plan to vote for Labour and UKIP. Only 3% of 2010 Conservative voters plan to vote Green or Liberal Democrat. This suggests that the Lib Dem hope of picking up ‘soft conservatives’ might well be unrealistic in the Stroud constituency. Equally, it suggests that the Green belief of being strong on environmental/rural issues will not return the votes they would hope for in the rural Conservative strongholds of the constituency. In contrast to the Conservatives, only 23% of the 2010 Lib Dem vote plan to stick with their party. 30% of those who voted Lib Dem in 2010 plan to vote Labour, 20% Green and 17% Conservatives. Labour’s success in this constituency is heavily dependent with the national campaign of ensuring Lib Dems stay unpopular. In Stroud however they have the danger that the Greens will sweep in and take a large number of these votes on the back of the well funded negative campaign Labour has launched against the Lib Dems. Locally in the coming months we can expect to see tough campaigning from both parties in the south of the constituency around Dursley – the traditional Lib Dem [no longer] stronghold. Only 6% of 2010 Lib Dem voters stated that they plan to vote for UKIP. Interestingly the Labour/Green battle is further highlighted in the important 18-24 year old demographic where both parties are securing a large vote share (52 and 21% respectively). 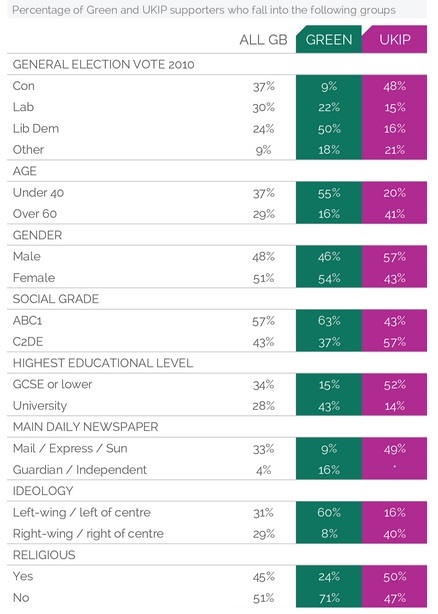 From this we can once again expect to see visits to sixth form colleges as both parties aim to make the most of the Lib Dem unpopularity with young voters (just 7% in this poll). Perhaps a key area for The Green party might well be tuition fees as they are the only party that still opposes them and of course, it is the flagship Lib Dem bashing policy. The Conservatives on their part will continue to sing from the ‘economic recovery’ hymn sheet trying to paint Labour as irresponsible. We know this will appeal to their core vote but this polling suggests that this won’t be enough to win them the seat. They have to reach out of their comfort zones – something which they currently show no signs of doing. The concluding point though has to be this: With near-by constituencies such as Chippenham (where the Lib Dems are expected to lose a very good MP in Duncan Hames) we can expect to see little from the ib Dem in the Stroud constituency which really means their 15% of 2010 votes is up for grabs! Whether or not Labour secure enough of these votes might well be the difference between a Labour win and a Conservative hold. From a Green perspective, they too must be looking to make ground in the south of the constituency. This could be a double win for them if they look to reach out and secure new ground in the south of the constituency as this is the place where they can pick up the most new votes whilst also not being accused of campaigning on Labour’s doorstep. *A total of 1,000 Stroud residents were surveyed in the poll, with prospective voters asked who they would support when thinking specifically about their own constituency and the candidates standing. ** The Green Party are the only main party who have yet to announce their candidate for Stroud.